SSEMBABULE – Lwemiyaga MP, Theodore Ssekikubo has denied allegations that he is involved in the land grabbing cases in his constituency. “When my people are fighting amongst themselves over land and I simply come in and provide a solution for peace to prevail between the affected families, I am accused of fueling conflicts,”Ssekikubo noted. While presenting his statement to the Floor on Thursday during the 20th siiting of the second meeting of the 10th Parliament chaired by the Speaker of Parliament, Rebecca Kadaga, Ssekikubo defended himself that it was wrong for the minister to make serious statements against his personality. He informed the members that government officers don’t respect court orders an this is not the only case. In all the cases, they hire lawyers for government in matters where people are struggling over land. When Ssekikubo started becoming sentimental, the Speaker reminded him of the rules of the House that bides every member and does not allow sectarianism statements against personalities of individuals. He added that the issue has been there even before he was the area MP and he only got involved because he is from the area, adding that it’s not true that am involved in grabbing any land. 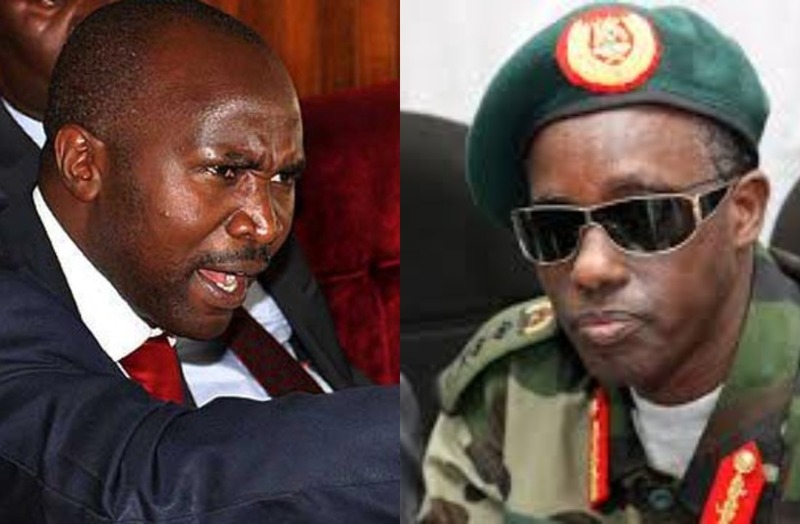 Early this week, the Security Minister Gen. Elly Tumwine accused Hon. Ssekikubo for being part of the land grabbing cases in Lwemiyaga.